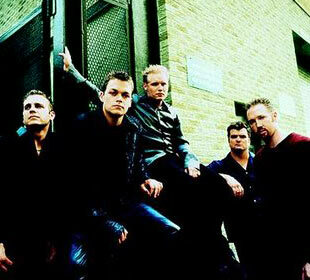 3 Doors Down Biography, Discography, Music News on 100 XR - The Net's #1 Rock Station!!! 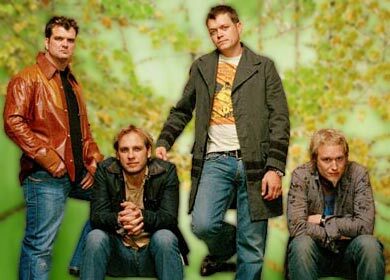 The Escatawpa, Mississippi USA-based Alternative-Rock outfit 3 Doors Down was formed in the second half of the '90s and originally comprised of members vocalist + drummer Brad Arnold, guitarists Matt Roberts and Chris Henderson and bassist Todd Harrell. In 1997 the foursome released a demo CD and signed with Universal Records; when the band's line-up was solidified with the addition of drummer Richard Liles, 3 Doors Down recorded their official debut full-lenght disc, "The Better Life", which was finally issued in February 2000. The album became a surprise hit reaching the #7 spot on The Billboard Top 200 chart and spawning three #1s Mainstream Rock singles: the omnipresent "Kryptonite" also peaked at #1 on The Modern Rock chart and hit #3 on The Billboard Hot 100, "Loser" rose to #2 on The Modern Rock Tracks and "Duck And Run" completed the string of Active Rock chart-topping singles; "Be Like That" entered the top 10 on the same chart, propelling the album to multi-platinum status. Since then the CD has sold approximately 7 million copies worldwide eventually breaking into the Top Canadian Albums chart at #6 and reaching the top 20 in Australia. In the fall of 2002, after Daniel Adair joined as new drummer, the group released their second album, "Away From The Sun", which rose to #8 on The Billboard Top 200; its first single, "When I'm Gone", quickly bulleted into the Billboard Magazine charts peaking at #1 on both Mainstream and Modern Rock radio and reaching the #4 position on the Hot 100 Sales list; the follow-up single, "The Road I'm On", hit the top 10 of the Active Rock chart, the title-track blew top 20 on the same chart and the magnificent ballad "Here Without You", soared to #5 on The Billboard Hot 100. Universal Republic Rock icons released "Seventeen Days" in February 2005, the disc went straight to #1 on The Billboard 200 and to #6 on the Top Canadian Albums charts; the first single, "Let Me Go", peaked at #6 on The Mainstream Rock chart, reached #14 on The Modern Rock Tracks and equaled the peak position on the Hot 100 Sales side. That same year ex-Puddle Of Mudd drummer Greg Upchurch was hired to replace Adair, who left to join Nickelback. The CD offered two more Active Rock radio top 20 hits "Behind Those Eyes" and "Live For Today", the minor hit "Here By Me" as well as the Mainstream Rock top 40 track "Landing In London" featuring guest backing vocals by Bob Seger. 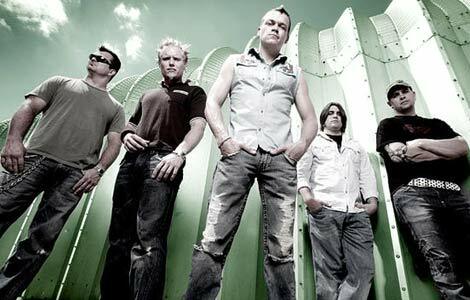 3 Doors Down's much anticipated fourth studio album spawned a new Hot Mainstream Rock #1 smash with the debut single, "It's Not My Time", it became the fastest moving song at Active Rock radio in the past five years, peaked at #5 on The Hot Modern Rock Tracks and at #17 on The Billboard Hot 100. The self-titled 12-song set shot to #1 in U.S. and grabbed a #3 spot in Canada upon its May 2008 release. The disc included two more Hot Mainstream Rock top 20 entrant, "Train" and "Citizen / Soldier" and one minor hit, "Let Me Be Myself". December 2009 saw the band unleash an 8-song EP of acoustic versions of tracks from their latest release, including two versions of a newly penned Christmas track, "Where My Christmas Lives"; the full-band version became one of the 100 XR's most played songs during the 2009 holiday season. 3 months later they released a digital single called "Shine" which appeared on the 2010 Team USA Olympic Soundtrack produced by AT&T. It would be three more years before 3 Doors Down returned with another full album of new material. "Time Of My Life" was released in July 2011 reaching #3 on The Billboard 200, but it failed to achieve the platinum or gold certification that the band's all previous releases had. The first single, "When You're Young", easily ascended into the top 10 of the Active Rock chart at #9 and was followed by another Rock radio top 20 hit: "Every Time You Go". In May 2012 founding member and guitarist Matt Roberts was forced to leave the group because of health problems. He was replaced by Chet Roberts. 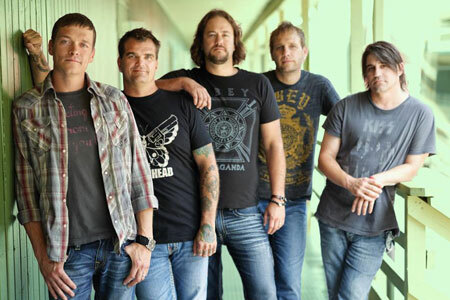 Not log after 3 Doors Down recorded a new single titled "One Light", which was featured on their first best-of album simply titled "The Greatest Hits", that Republic Records released in November 2012.